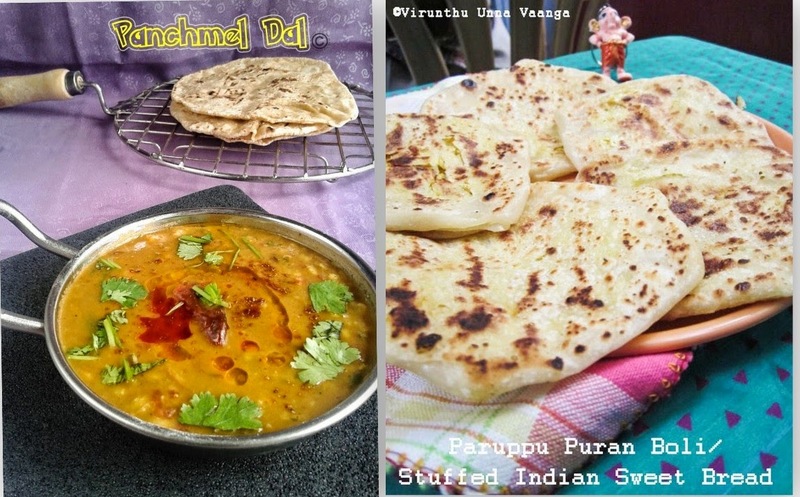 Hi dear friends, eating is considered as one of the most important parts of our everyday living. Nowadays, healthy foods are more important and people too very conscious to have nutritious, healthy foods in their diet. 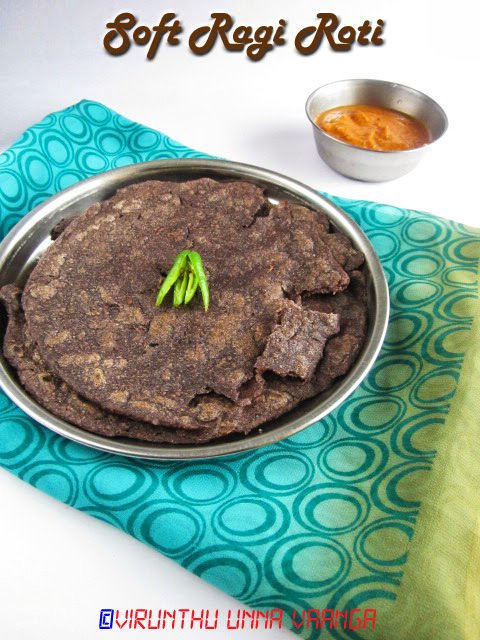 Here, am posting ragi (Finger Millet) roti, usually ragi roti will be dense and hard but its really very soft and its not like adai consistency, you will love it sure as it gets soft texture like chapathi. I already shared the ragi benefits here. Boil the water with salt and oil for 5-7 minutes then switch off the flame. 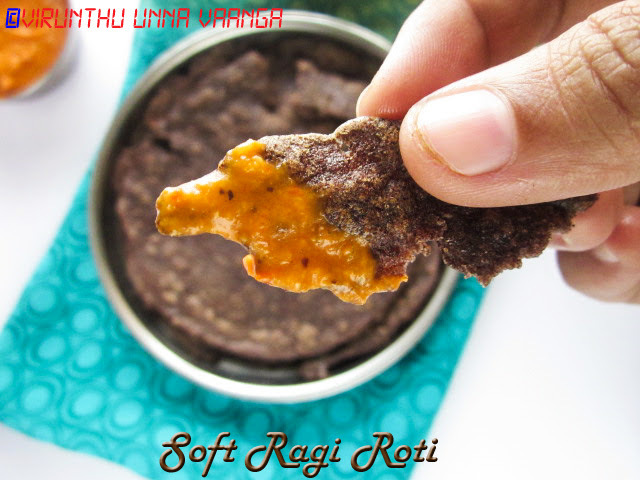 Take a ragi flour in a big mixing bowl, add water little by little stir it with wooden spatula. Be care, plz dont add the whole water, little by little is important, else it will be very sticky. 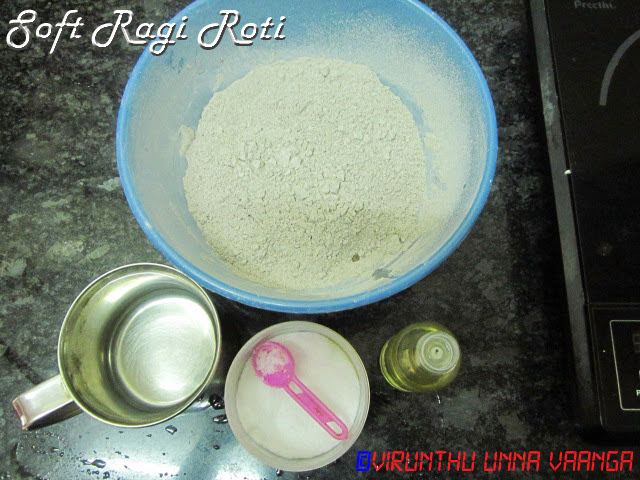 Once you able to knead it well cover with lid for 5 minutes to get warm dough. Now knead it by your hand and divide into equal tomato size balls. 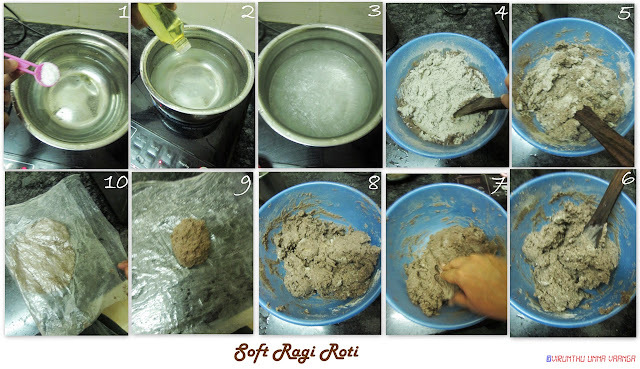 Take oil greased banana leaf or plastic sheet shape it into thin circle by your hand as I shown in the picture. 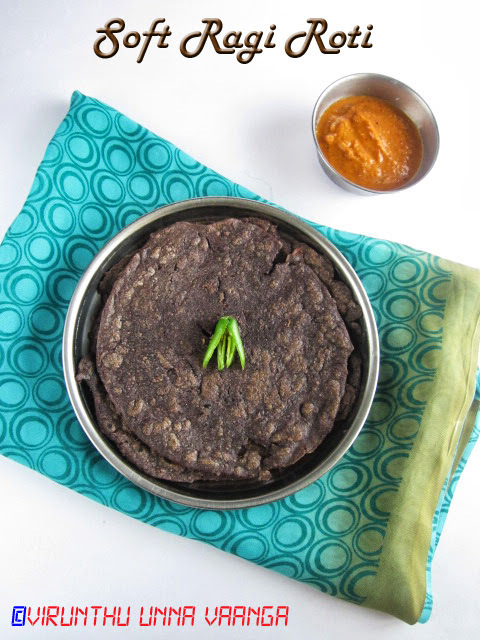 Put it in hot dosa tawa with drizzling oil, and flip both sides to cook well. 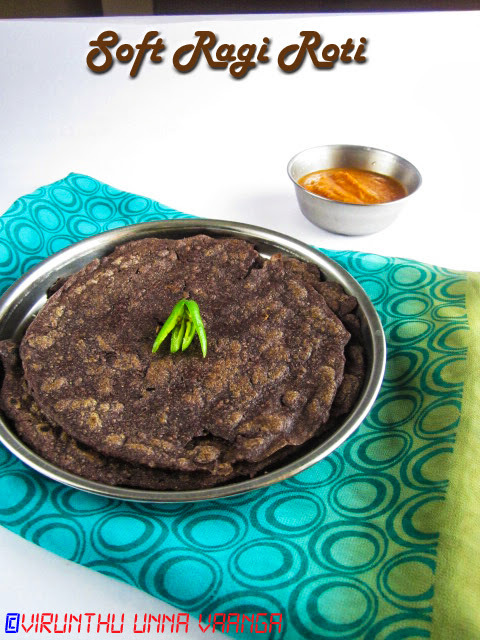 Delicious and healthy RAGI roti!!! 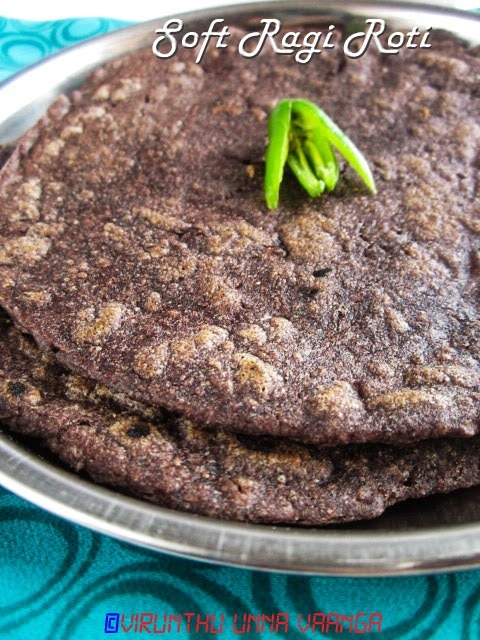 Never had ragi flour roti. 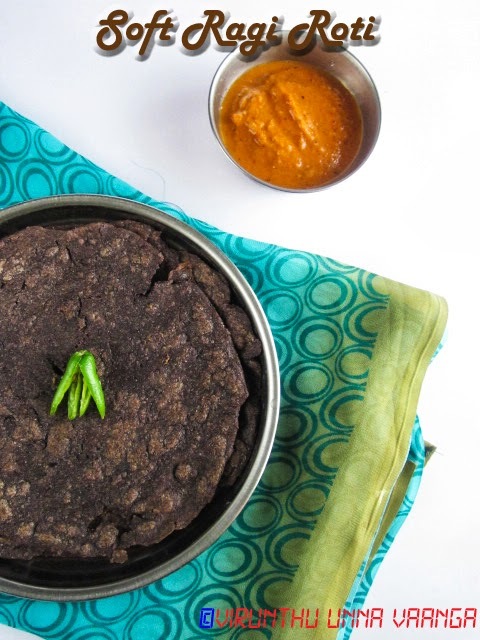 Looks perfect and very nutritious too. 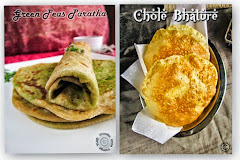 My favourite rotis, wat a nutritious food. 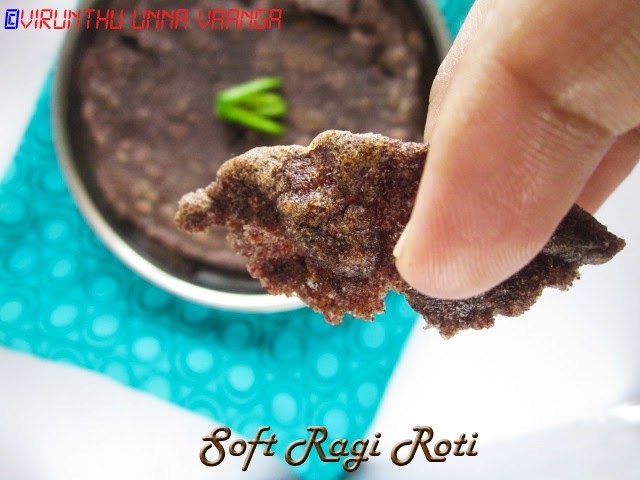 viji, loved all your clicks..nice close up one too..btw, roti looks very tender!! 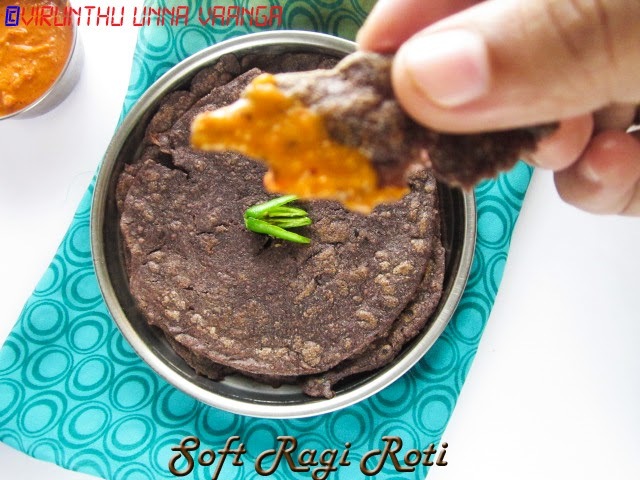 is that urs dupatta :) nice presentation da..
Tasty Ragi roti! nice click! very neat post n clean cliks.very very healthy rotis..
Ragi roti looks delicious viji. very healthy n nutritious breakfast!!! healthy and nutritious breakfast. Looks delicious. Nice clicks.